Get ready to join in a fun-filled and exciting fiesta, Rainbow of Culture, at Manchester Academy on Wednesday, 20th February 2019. 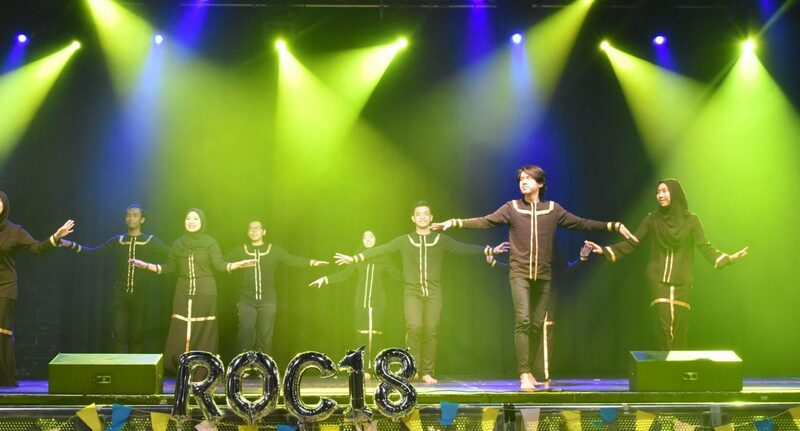 Rainbow of Culture (RoC): Embrace the Diversity is an idea introduced by Malay Language and Culture Society (MALECS), aiming to promote Malaysia as an example of a harmonious multicultural country to an international audience. The three majority races in Malaysia create an exciting combination of Chinese, Malay, and Indian cultures. One of Malaysia’s unique features is its cultural diversity, a major attraction factor for tourism. In the current global state, tension and conflicts can often exist between different groups, either in racial, religious, or political aspects. In light of this, the Rainbow of Culture event aims to unite people and encourage them to learn more about other races through a holistic appreciation. If you are somebody who loves a fusion of cultures, this event will definitely be a hit with you! This event, held in Manchester Academy, will showcase Malaysian cultures through live performances, arts and crafts exhibitions, food, and traditional games, all representing different aspects of the Malaysian community. Our famous traditional outfits will also be showcased on a runaway, accompanied by music and dance, as one of the event highlights! If you’re not yet sold, we’ll also have astonishing batik-canting (an art activity), a traditional fashion show, and dances. What’s not to love? The spectacle will start at 4:30 pm, with a surprise element, and end at 8:00 pm. Remember, you still have two weeks left to plan your evening and make sure you head down to the Academy! Mark your calendar and pop in because we have so much amazing art, and entertainment ranging from fashion to fun games and everything in between. This will definitely leave you with the most amazing memories and – just what every student loves – freebies. Check our Facebook page out to find out more on RoC. In case you haven’t heard about us before, MALECS is an organisation registered under Education Malaysia UK (EM), United Kingdom & Eire Council of Malaysian Students (UKEC), and University of Manchester. MALECS is the first society in the United Kingdom, founded on 23rd April 2013, to uphold and elevate Malay language and culture. Rainbow of Culture is one of MALECS’ flagship events. It has also become our most awaited event as it was successfully held last year, and was incredibly popular. It’s obtained a lot of support and positive feedback from both the volunteers and the visitors, which is why MALECS has chosen to run RoC both this year and in the future. Alongside this opportunity we would like to say a huge thank you to our sponsors GPS Lands, Azie Kitchen, and UKEC, who are helping make this event possible. Don’t come alone, bring your friends, family, colleagues, and acquaintances to this exciting and inspiring event. Entrance is free for all. If you want to know more about event, please feel free to visit our Facebook and Instagram event pages. MALECS is an organization registered under Education Malaysia UK (EM) and United Kingdom &Eire Council of Malaysian Students (UKEC). MALECS is the first society in the United Kingdom,founded on 23rd April 2013 to uphold and elevate Malay Language and culture. MALECS is founded on the principle to spread knowledge on Malay heritages in the aspects of thoughts, language and culture.